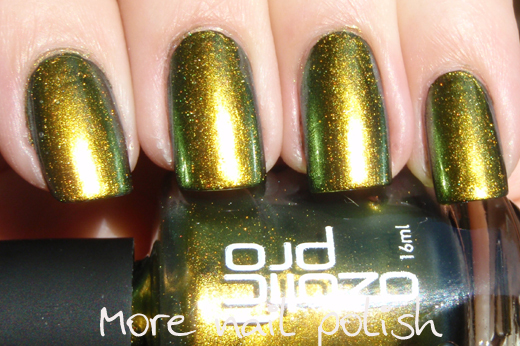 I have already done a post on my old vintage Ozotic 507, but I've had that polish for about 11 years and there is less than half left. 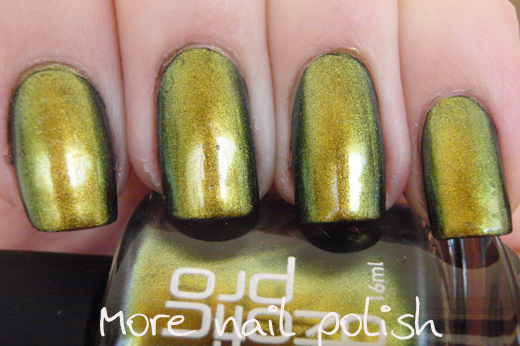 So when piCture pOlish relisted 507 for sale (for about a nano second before it was sold out) I scooped up another one. I also took an indoor photo of this one to show what it looks like most of the time. This was two coats 507 over one coat of black and Seche Vite top coat. I'd be interested to know how many bottles PP actually had of this, given it sold out so quickly. Did anyone else out there get it? Nooooooooooo I missed it!! It was there when I first looked at the Multichromatics, then when I went back after looking at Holographics it was GONE. I got one! 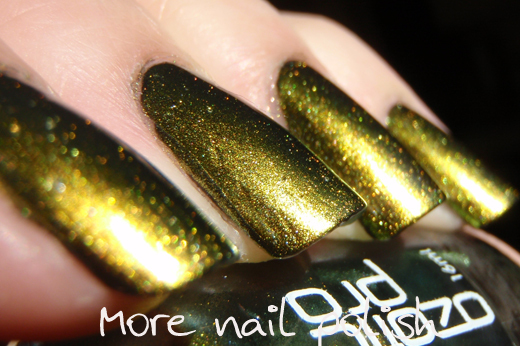 LOL Picture Polish mentioned me in their newsletter for being the first! I picked it up from the PO today along with 509, 517 & PP Jealousy. It looks amazing on you, so glad I was lucky enough to get it! 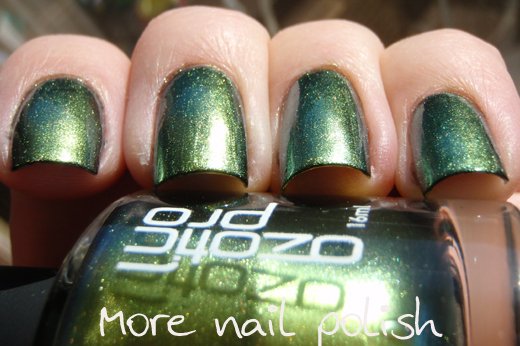 OMG this polish is gorgeous!! It makes Chanel's peridot look like the homely sister! I live in the US - if you ever want a US polish I would LOOVE to swap :) You Australians have the BEST polish! Kelly - thank you, it is a beautiful colour. reeree - so sorry you missed it, but it was only in stock for a day or two. I reckon they must have only had about 50 bottles. Kaz - I saw that newsletter and that was YOU! I also got 509 (wearing it today). I'm looking forward to your amazing bottle pics and swatches. Kristy - thank you, except that indoors you can see the cat hair on my middle finger! This is the polish I was wearing when the big snap happened! Sorry Ladies, you must have posted while I was typing. déjà vu - Nice isn't it, but I still need peridot. I ♥ Lacquer - I might just take you up on that - As long as I don't get busted by the Postage Police. ourlastdivide - Only 30 WOW, glad I got in quick. I missed it, but I got myself Peridot for my birthday, so I'm not feeling as deprived as I might otherwise.